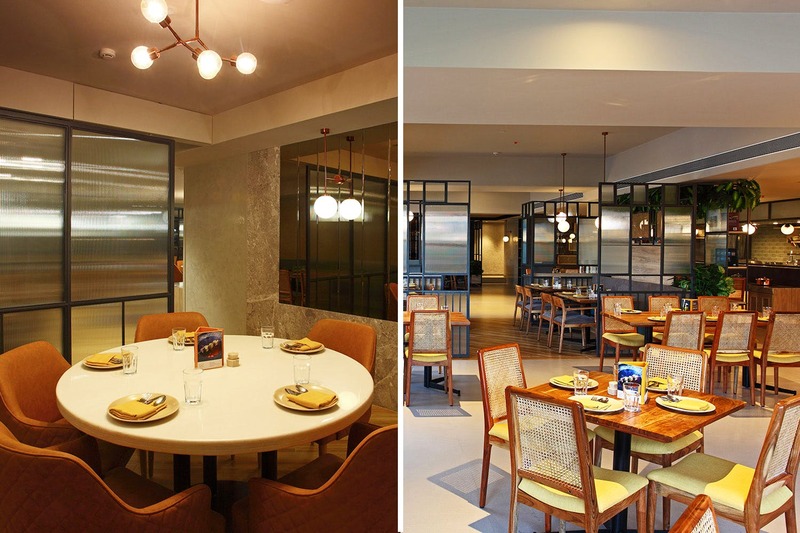 Can You Guess Which SoBo Restaurant Is Now In BKC? Legendary Indian eatery Copper Chimney has now opened its doors in BKC and we can finally have succulent kebabs with a beer. Here's why you should too. The tandoors at Copper Chimney are fired at first light, grills marinated for over eight hours and the signature dal is slow-cooked to perfection. Central to this process are the ‘Ustads’ of Copper Chimney. The menu at the BKC space features recipes that celebrate cuisines from Peshawar to Delhi. Expect to gorge on dishes like kadak roomali, mutton rogan josh, kheema biryani, cheese stuffed mushrooms, mutton seekh kebab and much more. Special mention to their dessert Muzaffar - a bed of Lucknowi rabdi topped with fried semolina. The bar welcomes you first thing as you enter. Achari Whiskey combines ginger ale with house-made spicy mango pickle; the Indian Long Island Iced tea is a mix of potent spirits and tender coconut water.In a nod to the country’s unique street drinks, the menu includes Street Coolers like Delhi Shikanji, Khatta Jaljeera and Lemon Chai Sherbet. Unwind with classic cocktails, and a range of beers, wines or domestic and international spirits. Their lunch soup and food are hot favourites, and are reasonably priced, being under INR 400. They have a soup and salad offer for INR 199 and a Copper Chimney custom lunch for INR 699. If you're tired of eating the same old Indian dishes like we are, Copper Chimney is here with a fresh new perspective.